Keep Informed - One of the easiest ways to more successfully manage Type 2 diabetes is to stay informed. Keeping current with diabetes related information in the community will help people more effectively understand and manage their condition. New ideas on research, nutrition and fitness tips are always available online and through community support groups. People should take the time to stay informed. Remember, knowledge is power - the more people know about diabetes, the easier it is to manage and the more likely it is they will be able to find the answers they need. Eat Right and Exercise - Eating the right things and pursuing an active lifestyle are keys to looking good and feeling great. With type 2 diabetes, it’s even more important to eat properly and get out there and move. Even just 20 minutes a day of brisk walking can help people feel better, look better and significantly improve your condition by decreasing insulin resistance. Remember, people don’t need to run an 8 minute mile to do some good. In fact, even a slow walk is better than no walk. And for better health, it’s worth it. People should start slowly making adjustments to their diet. For instance, adding more fiber and some fresh fruits and vegetables will make it easier to avoid spikes in blood sugar. The changes don’t need to be dramatic to see results. 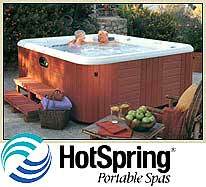 Use a Hot Tub Daily - Most people aren’t aware of the health benefits associated with soaking in a hot tub. For those with Type 2 diabetes, a quick dip a few times a week is an easy and convenient way to control your disease while relaxing and enjoying some down time. After a few minutes in a hot tub, blood vessels dilate which improves blood flow. This makes it easier for the body to use insulin and in most cases, blood sugar levels drop. Remember, the better people control their blood sugar, the better they’ll feel and the less likely to experience serious health complications like kidney disease, eye disease, heart attack and stroke. It’s as simple as changing a few habits and re-thinking a few choices. Keep informed with current and relevant diabetes related information, eat right and exercise. And don’t forget to relax in that hot tub because it’s time for you to get healthy and take control of your diabetes- you’re worth it.